Cracked Pepper Cheddar Grits | "Il faut goûter"
In the past two weeks I’ve received not one but TWO bags of local fresh coarsely-ground corn grits (from different sources). How lucky! More on that later. 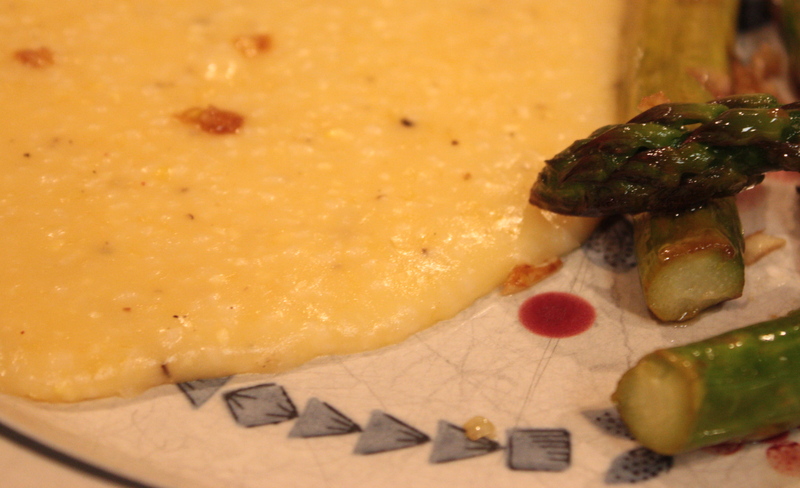 But first, a simple recipe for cheesy grits to use as a side dish or a base. These grits have sharp cheddar cheese and a bit of salty Parmesan for perk. I prefer to use a colorful peppercorn mix, but black pepper is fine too. And don’t leave out the bacon grease! Bring water to a rolling boil, then stir in grits. Reduce heat to a simmer (medium-low), cover with a lid and let grits simmer for about 25 minutes. Stir occasionally to avoid lumps. After the first 25 minutes, stir in cheeses and all other ingredients until everything is incorporated smoothly. Let simmer for a couple more minutes. At this point the grits are ready to eat (in the porridge-like form). For baked grits, pour grits into an oven-safe dish and bake 45 minutes at 350 degrees. 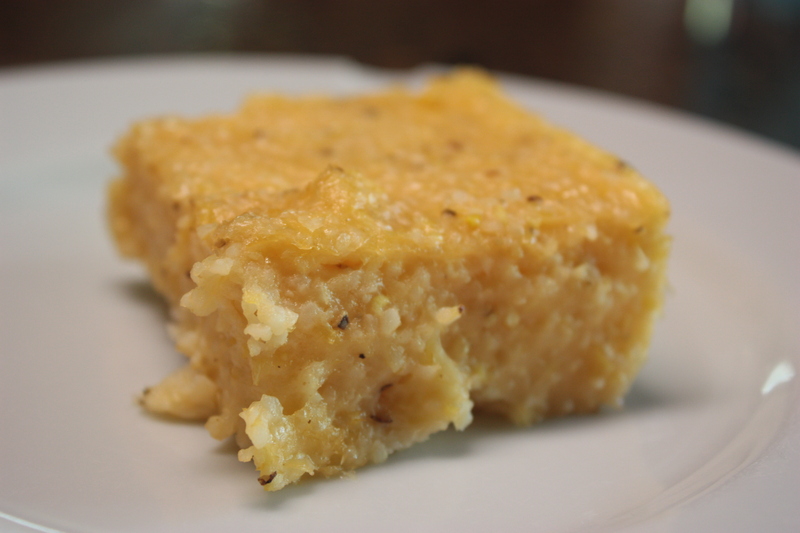 For more solid grits (like polenta), chill cooked grits until firm (overnight, to prepare a day ahead), then bake at 350 degrees for 35-45 minutes. Think of what you could put on top! Visit my next post to see what I put on top of those grits! This entry was posted in Savory and tagged Cooking, food, grits, recipe, recipes, southern by needtotaste. Bookmark the permalink. We just had baked grits the other night. Man these look good. I like the recipe and how you explained the different ways to serve them.